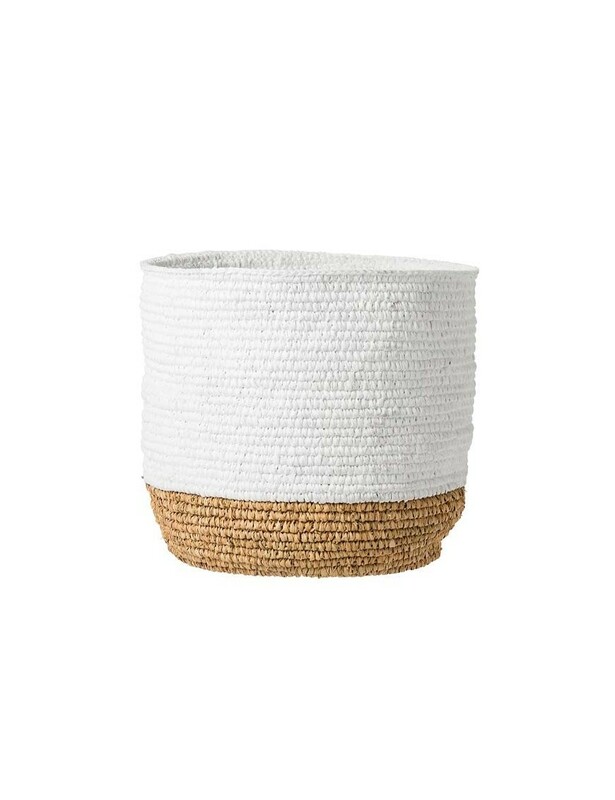 Natural & white Two Tone raffia basket by Bloomingville. Medium Ø40,5xH39 and large size Ø37xH34 cm Baskets, White/Nature, Basket. These baskets are of high quality.